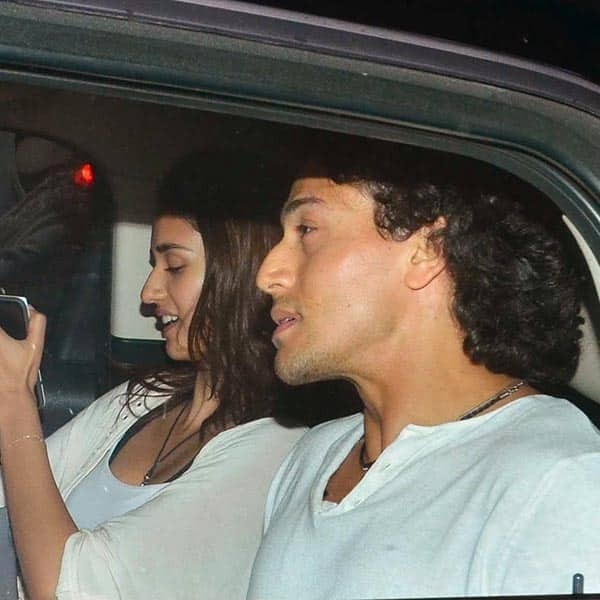 Tiger Shroff and Disha Patani, who claim to be ‘very good friends’, were spotted out once again for a quiet Dinner Date at a plush restaurant in the city. The rumoured lovebirds didn’t look too happy to see the swarm of paparazzi clicking away as they left the venue together in Disha’s car. Tiger recently opened up on his equation with his ‘Befikra’ co-star on national television, maintaining that they are just good friends. He explained that as she lives the closest to him, she is often seen accompanying him to coffee shops and various other restaurants around the city. Tiger and Disha were spotted together as a rare moment when they were on a movie date. Disha and Tiger were clicked by photographers after they came out of the multiplex after movie. Disha was hiding from cameras but still shared same car with Tiger to go back.